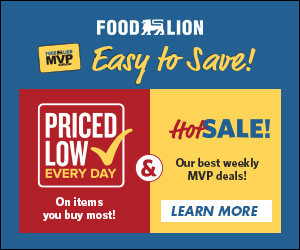 Madea’s loyal fans have two choices. They can say goodbye to their eccentric Aunty by attending her touring play or wish her adieu at a movie theater. Judging by what’s on screen in this anemic family comedy, the live performance is a better bet. It’s more thoughtful and a hell of a lot funnier. Before the grande dame makes her final entrance, her folks are gathered at a posh Atlanta house to celebrate the 40th wedding anniversary of a matriarch Vianne (Jen Harper) and her husband Anthony (Derek Morgan). The home is aflutter with relatives: Vianne’s daughter Sylvia (Ciera Payton) and her husband Will (David Otunga) are the hosts. Sylvia’s handsome little brother Jessie (Rome Flynn), who has just announced his engagement to his fiancée Gina (Aeriél Miranda), is there. Sylvia’s other bro AJ (Courtney Burrell) is on his way, though his wife Carol (KJ Smith) is already on premises. The odd person out is a family friend named Renee (Quin Walters) who is also late. Madea’s crew (Greek chorus) is about to make the three-hour trek to the festivities. At the wheel of the car is the very academic and debonair Brian (Perry). The backseats are filled with her frisky older brother Joe (Perry), Aunt Bam (Cassi Davis) and the very wacky Hattie (Patrice Lovely). That’s a whole lot of characters to keep track of, but over time differentiating them becomes easier. Perry’s script relies on infidelity, rivalries, bawdy language, lust and the usual dollop of betrayal. In other circumstances, the turmoil would be funny and engaging. Not so much here. Too many scenes (especially in the house) are long-winded and stagnant. It’s as if the script didn’t know what to do with the bevy of characters and the director didn’t know how to choregraph their placements or movements. This is a movie, not a play, yet Perry is relying on boring theater staging, and it doesn’t work. The lack of exterior shots adds to the visual boredom. Sometimes the sheer amount of humor enlivens the pace of Perry’s movies. But, considering that this is a comedy, the dearth of physical pranks is puzzling and a huge misstep. The one interesting running joke is about a dead man and his appendage that still reaches for the sky, even though he’s in a casket. It’s the editor’s duty to cut scenes to the nub and move things along, even if he has to override the director to get the job done. Either editor Larry Sexton was asleep at the wheel or someone didn’t let him do his job effectively. What’s on-screen never has the makings of a great comedy, but fine tuning the pacing and shortening sequences would have helped. The production design (Paul Wonsek) and costumes (Crystal Hayslett) are decent and don’t get in the way, which is the kindest thing that can be said for a film that looks like a TV show. Philip White’s musical score is played very delicately in all the wrong places and sounds cheap. None of the new actors stand out. It’s as if they answered a casting call for extras for a film’s Atlanta crowd scene. Even though this is a feeble movie, an ambitious and talented thespian would take this opportunity to steal scenes. None do. Davis and Lovely are up to the same banter and antics that worked much better for them in Boo! A Madea Halloween. Perry plays four characters (add in an amputee named Heathrow), which spreads his talent way too thin. He looks like he’s having fun, but that doesn’t translate into a real belly laughs or solid comic acting. There are a lot of people who think Perry’s characters, like Bam and Hattie, are nothing more than buffoons or minstrels. They get that reputation because they spend so much time trying to make big laughs out of little shallow scripts. Their failings are more acute and obvious on TV and movie screens. But somehow onstage the over-the-top antics and broad humor play much better. The actors get a chance to connect with the audience and play off of them. It’s a better experience. Boo! A Madea Halloween is hands down the best film in the Madea filmography. It was funny, kinetic and had lots of action and exterior shots that made it feel more like a well-developed horror/comedy; something in the realm of Abbott and Costello Meet Frankenstein. 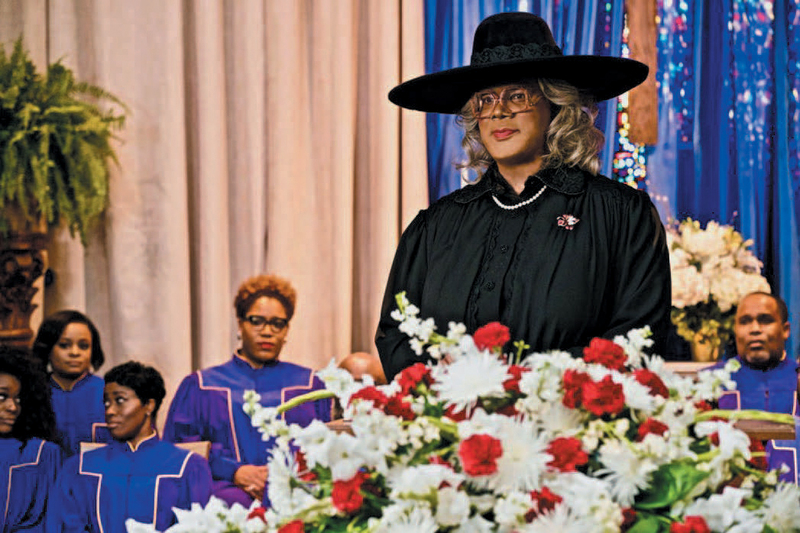 Though A Madea Family Funeral delves into the culture surrounding Black funerals and the sometimes overwrought mechanics, the jesting is not biting enough to be hilarious satire. The jokes and shtick are overly repetitive. The constant stream of infidelities and upheavals grows old fast. Perry is a very rich and successful entrepreneur and filmmaker. If you had a wish for him, it might be to slow down, maybe partner with a co-writer and spend more time on each project until they are well-developed entities. Visit NNPA Film Critic Dwight Brown at DwightBrownInk.com.